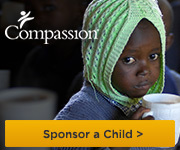 This first appeared on the Compassion International Blog on January 5, 2016. That was the day Sameson lost his mother. Separated from his siblings and his parents, Sameson began life with his aunt and her family in Addis Ababa, Ethiopia. However, the fact that the family was already struggling to survive meant that Sameson was considered just another mouth to feed, and he became an unwanted burden. The family didn’t hesitate to show him that he was unwelcomed in the house. According to Sameson, the family had one untold rule: everybody worked for survival and there was no age limit. Hence, he was assigned a chore like the rest of the children in the house, even though he was the smallest of them all. At the age when he was supposed to be cared for and able to play with his mates his own age, Sameson went to the field with a lot of cattle and sheep to herd. I just have to say that I really like your new design, It looks great!